The universally recognised BR 'double arrow' logo was one of the products of the 1964 rebranding programme, and even in this era of privatisation has come to represent the national network. It was once used on everything from the humblest item of literature right up to rolling stock and of course, station signage. 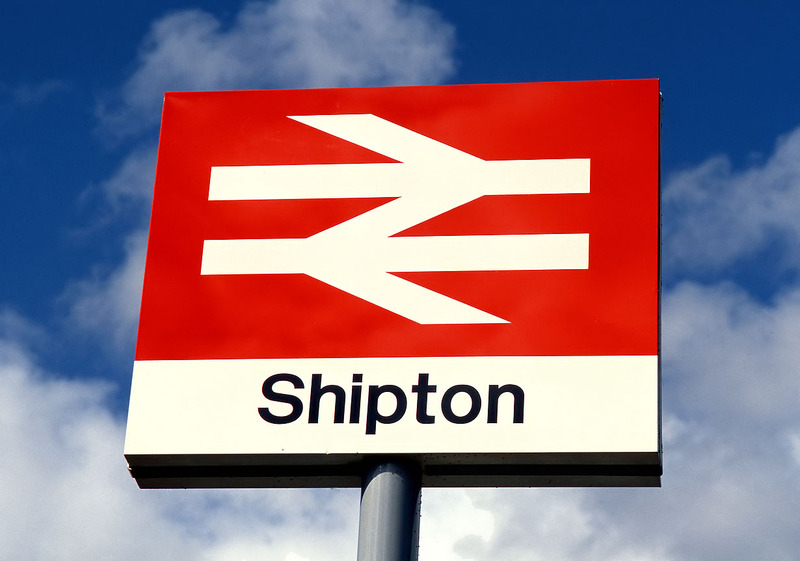 Here is the sign for my local station at Shipton, looking almost brand new (perhaps it was) on 25 July 1993. It has since suffered the ravages of time and neglect.